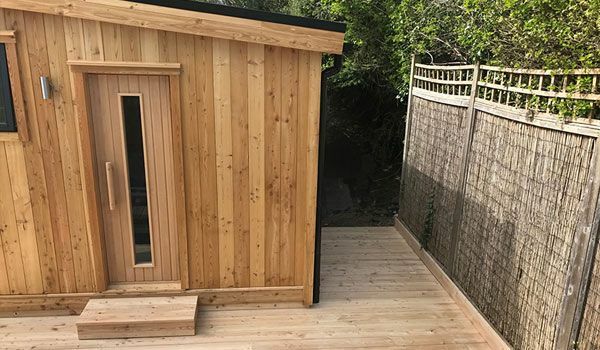 As many of us know, space is at a premium in London, that’s why Nordic Wood worked closely with the owners of this cabin, to make the most out of the room they had in their garden – creating a contemporary, fully insulated garden room, with a bespoke Dog flap to accommodate a Great Dane (Techno). 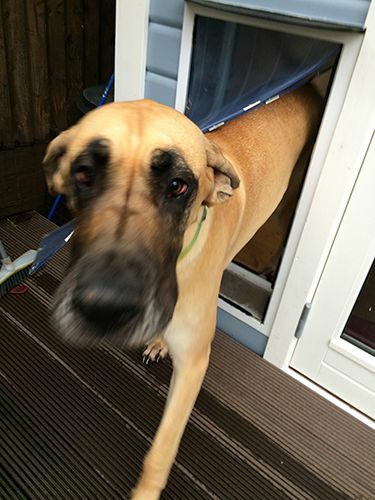 As the couple have a Great Dane resident, Nordic Wood were able to get a made Dog flap ordered from America – fitted into the cabin. The client was also concerned about natural light entering the cabin, after discussing the various options, they opted for 4 ‘flexible sun tunnels’ (one in each corder of the room) which reflected sunlight into the room. 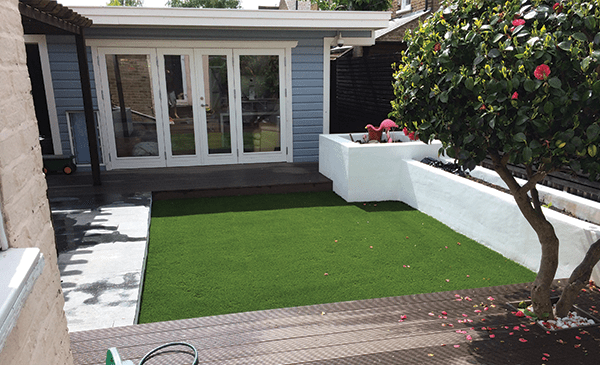 This has resulted in a beautiful Nordic Room and a very content customer and pet. 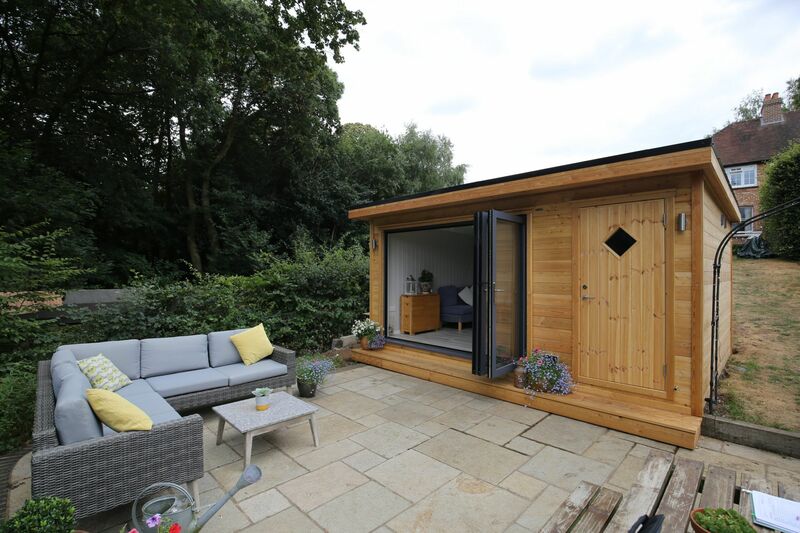 We are absolutely delighted with our Nordic Wood cabin which we use every day as a home office and in the evenings as a chill out space. 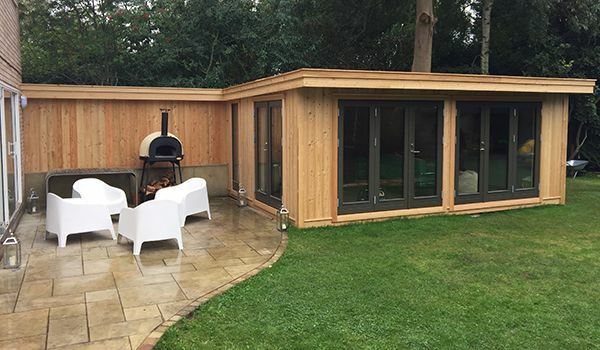 It was built to our exact specifications and integrates perfectly into our small garden and has added a whole new dimension to our living space. 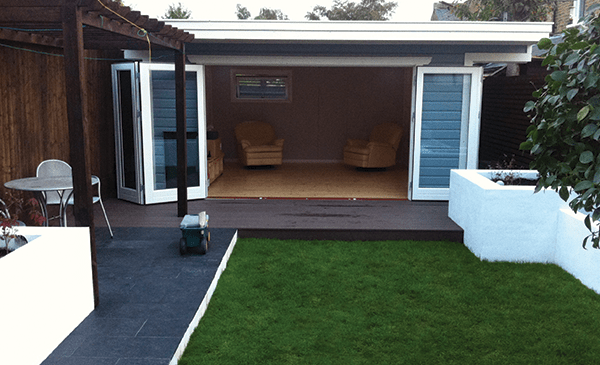 The bi-fold doors are wonderful in Summer as they open the room up to become part of the garden. The team were fantastic throughout the entire process – design, build and aftercare; nothing was too much trouble and they even fitted a behemoth dog flap for our great dane. 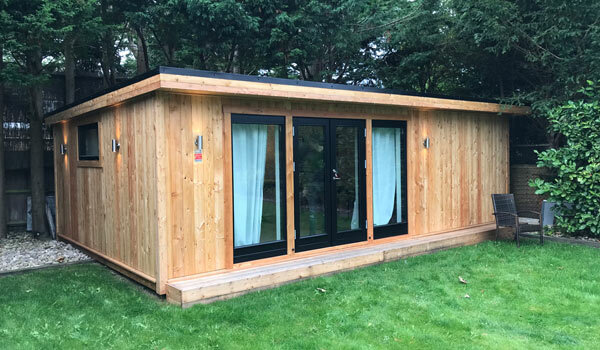 We have had our cabin for over a year now so it has been tried and tested in all weathers and the insulation is fabulous so it is a cosy useable space all year round. 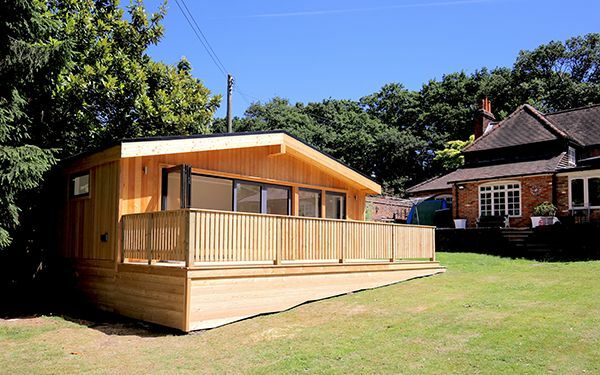 Our cabin has been built to a very high standard with great attention to detail by skilled craftsmen and the end result is really fantastic! Thank you Nordic Wood.